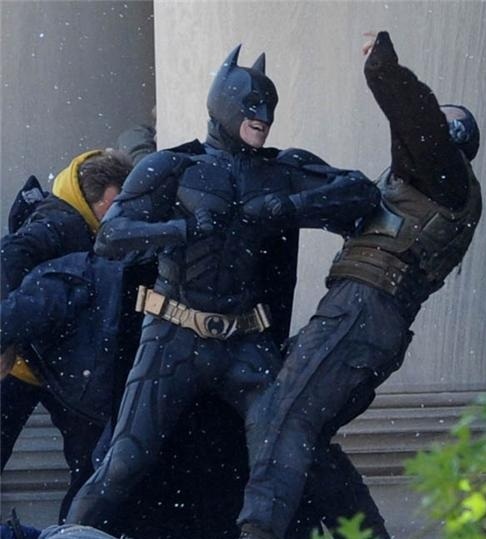 CinéBlog: Revealed: Batman's Secret Weapon. The Caped Crusader saved Gotham City from total annihilation three times, but just how did he do it? How did one man save the same city thrice? Well, I decided to assess the Bat's crime-fighting arsenal and city-saving antics to pinpoint which was the most vital. You Will NOT Believe What I Discovered! Yes, no less than 10! 9 of which are principle characters! 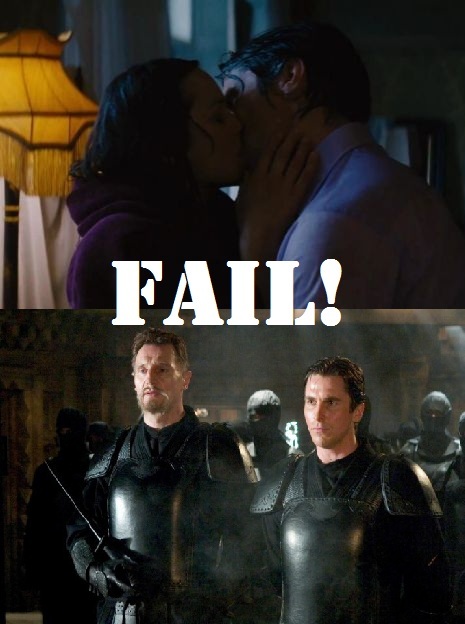 You almost feel sorry for Scarecrow and Two-Face because they didn't get the memo. Poor guys. 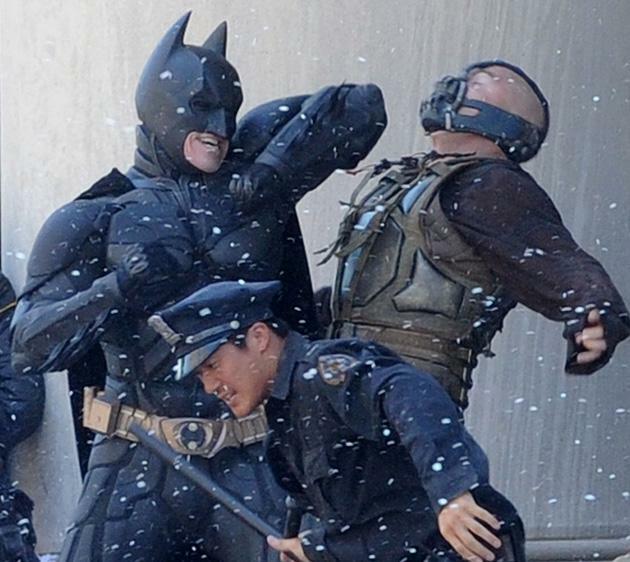 So clearly, Batman's secret identity has been just a little more useless. The Batman of the comic books was know as the "world's greatest detective", a title that Christopher Nolan was key to pass over to his films. As well as the brawn, the Dark Knight had to possess the brains and cunning to catch the most conniving of foes. 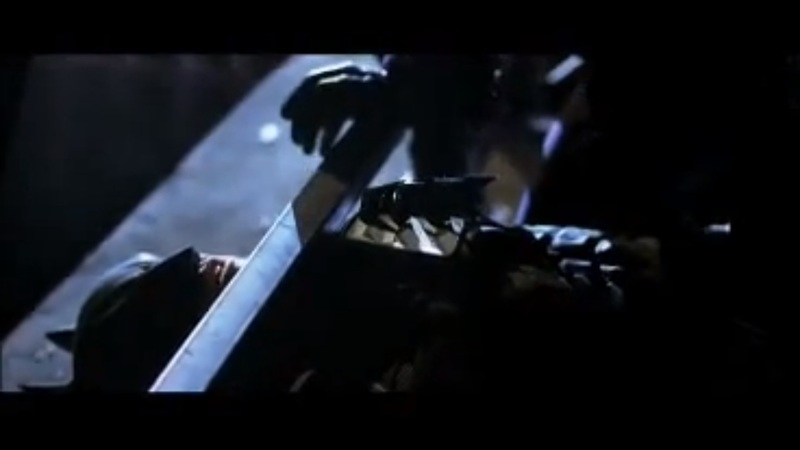 Staying one step ahead of the enemy is a vitality in crime-fighting, which is something Nolan's Batman actually does pretty well... if you skip the entire second film. You begin to lose count of just how many times the Joker outsmarts his nemesis in The Dark Knight. 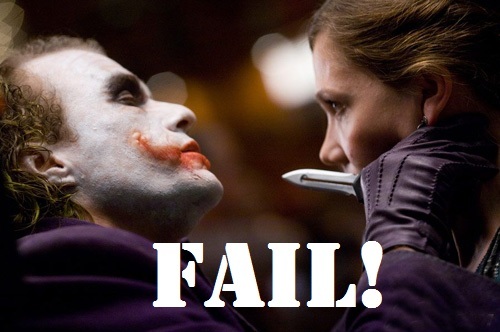 Whether it's getting arrested on purpose, killing Rachel or turning Harvey Dent to the dark side, Joker has Batman playing catch-up the whole time. Poor show. After James Bond, Batman probably boasts the most impressive range of gadgets and gizmos ever. Nolan's films are the first to really take the Bat's arsenal seriously (no Bat-Shark-Repellent-Spray here), with everything from the mighty new Batmobile, to a device that can summon a swarm of real bats. All of which he puts to pretty good use, disorientating and deceiving his enemies with an array of hit-tech parlour tricks. Sadly, it only takes one person to cotton-on to a trick and render it useless, and unfortunately for Batman that one person happens to be someone capable of snapping his spine: Bane. "*grumble* Theatricality & Deception *grumble**grumble* powerful allies *grumble*"
This one is pretty self explanatory; Bruce Wayne really needs to choose his friends more carefully. 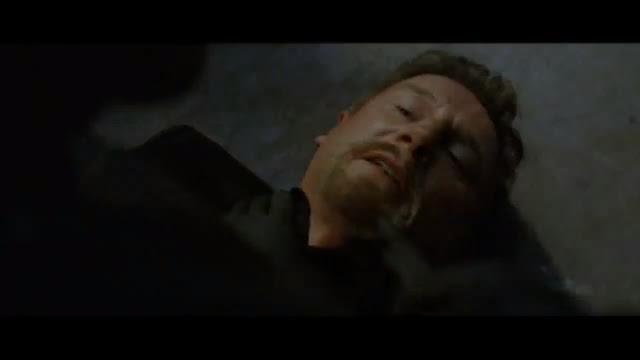 Liam Neeson's daughter wants revenge for having her dad TAKEN from her... sound vaguely familiar? Which of these things has batman used to save Gotham the most and is therefore his most powerful tool? a) the advice of Alfred. b) an inability to kill. c) those little pointy gauntlet things on his forearms. The answer is actually c) those little pointy gauntlet things on his forearms! I know what you're thinking: What? That's ridiculous? What sort of moron is writing this garbage? Why have I wasted precious minutes of my life reading this drivel!? 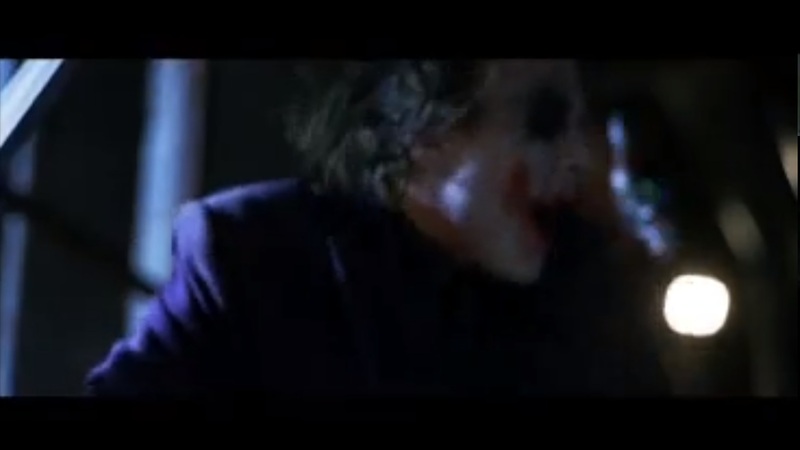 Batman fires the fins into Joker's face. 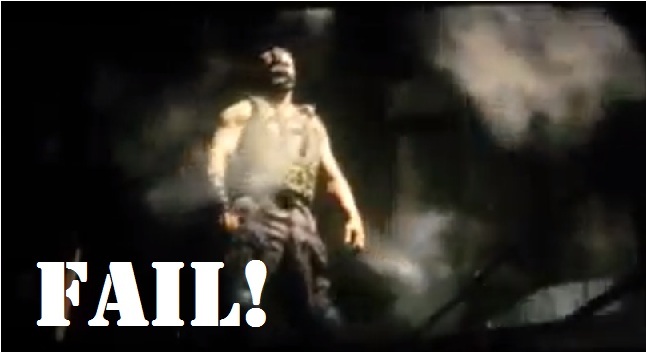 Blinded, The Joker is then defeated. 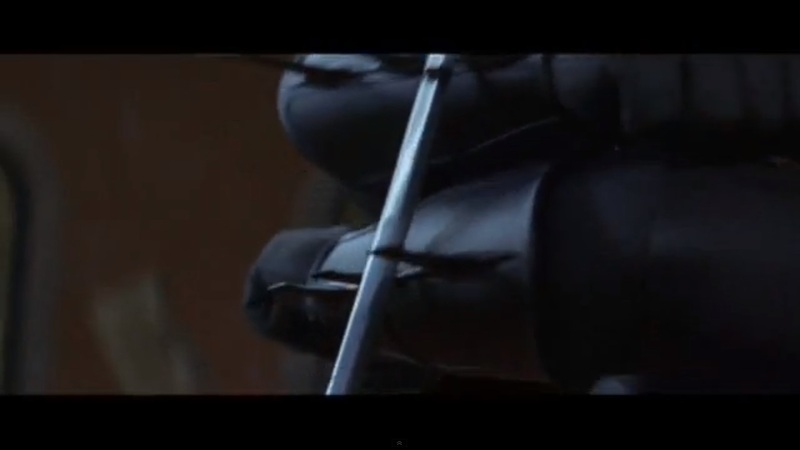 The fins are used to break open Bane's mask. And you thought they were just for show.